The Auburn Public Library offers a large variety of online resources to meet your information needs. Reach your reading goals with Beanstack! Track your reading, earn badges, and rewards. You can also get personalized book recommendations emailed to you each week. This one-of-a-kind app lets readers time reading sessions, log books by scanning their ISBN numbers, keep a log of current and past reading, track daily reading stats, and achieve streaks for reading multiple days in a row - all while they are reading independently or participating in Auburn Public Library Learning Challenges! Flipster is a next-generation magazine service that allows patrons to browse digital versions of the latest issues of popular magazines, courtesy of the library. Over 50 popular magazine titles are available including Consumer Reports, Time Magazine, Southern Living, Forbes, People, Sports Illustrated, and more! Download the app for iOS, Android, or Kindle Fire today! Discover new content, borrow all of your favorites, and save future reads with the cloudLibrary App. You can read or listen to eBooks and eAudibooks on the go, at home or in the library! We offer thousands of popular eBooks and audiobooks through the cloudLibrary digital lending platform. Offered at no cost to patrons, all that’s needed to get started is an active library card. Creativebug.com has more than 1,000 award-winning art & craft video classes taught by recognized design experts and artists. Classes include sewing, art & design, cooking, quilting, knitting, and home crafts. Career Alabama offers career and job search assistance as well as academic tutoring. Live help is available from 10 a.m.-10 p.m. 24/7 self-study resources are also available. Help topics include: resume writing, cover letters, online job searches, interview preparation, online application assistance, writing for ESL, and academic subjects including math, science, English, and computer skills. Value Line provides unbiased investment research for stocks, mutual funds, options, convertibles, and ETFs. Value Line is also available to our patrons at home or outside the library with a valid library card number. A collection of data arranged for ease and speed of search and retrieval by a computer. 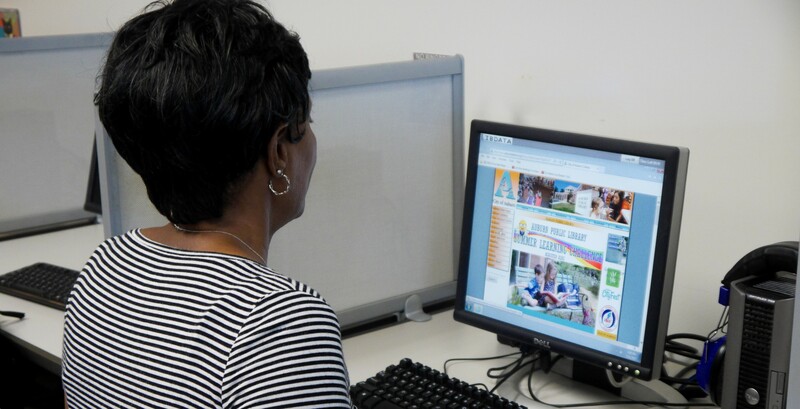 The Alabama Virtual Library is composed of over 50 databases on different reading levels, and on different topics. The world’s most comprehensive and trusted automotive repair database with easy-to-follow, step-by-step repair guidance on thousands of cars and trucks from 1940 to the present. Combines digital, searchable images of U.S. federal census records with the digitized version of the popular UMI Genealogy & Local History collection and other valuable content. HeritageQuest is also available to our patrons at home or outside the library with a valid library card number.